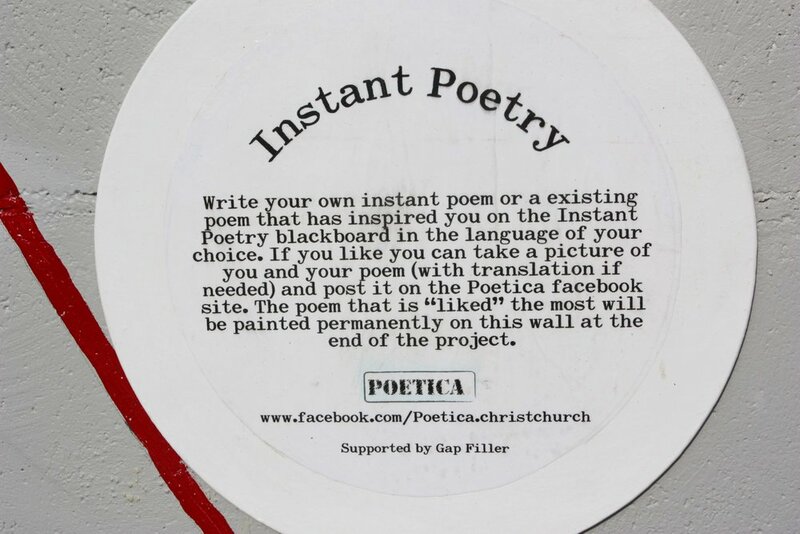 Poetica's first project was located on the corner of Colombo and Gloucester streets (formerly the location of Beggs Music Store) and took place during the month of September, 2012. 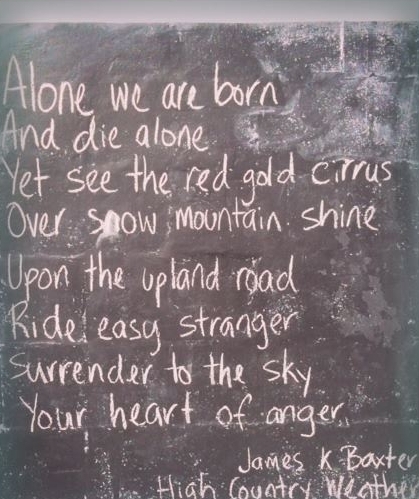 We painted a large "blackboard" on the site and left a few sticks of chalk for passers by to write their own poems, with William Shakespeare's Sonnet 33 providing a bit of inspiration. While Kirsty's poem may no longer be seen (the building has since been demolished) you can still experience the Infinity Wall in audio form via the soundscape app, SoundSky, and by taking a look at the images below. Special thanks to: Gapfiller, Resene Paints, and all of the passers by who participated in the project.